Ankama Group, creators of the delightful tactical strategy MMORPG Dofus, have signed a deal with Microsoft to bring their latest creation to the Xbox Live Arcade as Islands of Wakfu. Wakfu is Ankama's big cross-media project, that combines a new MMO set 1,000 years after Wakfu, which ties in with an animated cartoon, card game, comic book, and now an Xbox Live Arcade title due in late 2009. Islands of Wakfu will be an adventure beat-em up title that reveals all-new background content from both Dofus and Wakfu, which two players will be able to play in team mode. I actually have a flyer from Wakfu I picked up at the Games Convention in Leipzig, simply because the art style was so adorable. As long as Islands of Wakfu follows suit I might just have to pick it up based on sheer cuteness alone. I am such a girl sometimes. Roubaix, France - 18th December 2008 - ANKAMA group, creator of internationally renowned MMORPG, DOFUS, is teaming up with Microsoft to develop its 1st console-based video game. ANKAMA group has announced its partnership with Microsoft for the development of Islands of Wakfu, its 1st offering for the latest generation of game consoles. 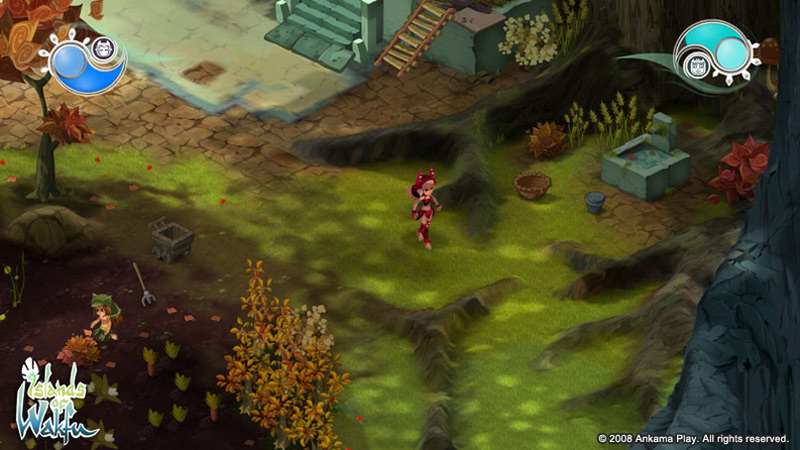 Islands of Wakfu, which is the most recent addition to Ankama's crossmedia universe, retains DOFUS and Wakfu's graphic touch, but adds the feel of an animated cartoon. This adventure/beat'em all style game can be played by two players in team mode and will reveal never seen before background content from the world of DOFUS and Wakfu. Ankama Play, ANKAMA group's newly created, independent next gen video game development studio, have recently finalised a deal with the software giant Microsoft.